Nazar Kholodnytsky, the Head of Specialized Anti-Corruption Prosecutor’s Office of Ukraine (SAPO) thinks that the fuss about the calling of him to the questioning in the Prosecutor General’s Office (GPU) and information on the possible dismissal is the targeted political act as 112 Ukraine reported. Kholodnytsky also claimed that he does not plan to participate in the session of the qualification committee of the prosecutors and he does not know anything about the planned questioning in the GPU. Earlier, the General Prosecutor’s Office and the National Anti-Corruption Bureau sent a complaint against Nazar Kholodnytsky, the Head of the Specialized Anti-Corruption Prosecutor’s Office, to the Disciplinary Commission. Besides, Andriy Lysenko, the Spokesperson of the General Prosecutor’s Office, said that Nazar Kholodnytsky was invited to be questioned as a witness to the Department of Major Investigation in the Economic Sphere today at 10:00. However, he did not come. As we reported Yuriy Lutsenko, Prosecutor General of Ukraine, initiated Kholodnytsky’s resignation today, on March 30. Lutsenko appealed to the Qualifications and Disciplinary Commission of Public Prosecutors concerning Nazar Kholodnytsky, his Deputy and the Head of the Specialized Anti-Corruption Prosecutor’s Office. 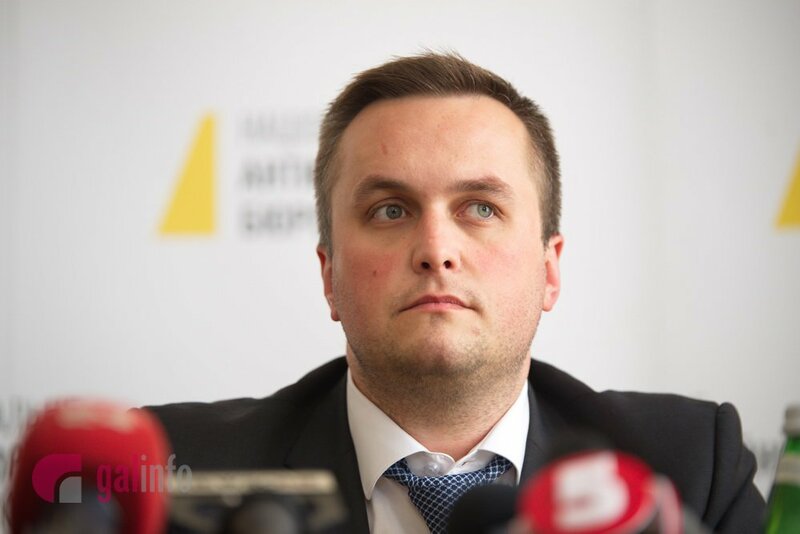 Artem Sytnyk, the Head of NABU claimed that the investigation on the case of Nazar Kholodnytsky started after the information that the SAPO impeded the investigation of the case on Hennady Trukhanov, the Mayor of Odesa. Kholodnytsky claimed that he is not familiar with the claim filed by the Prosecutor General’s Office (GPU) and National Anti-Corruption Bureau (NABU) against him to the disciplinary commission. However, he will insist on the public consideration of the case and publishing of all materials. Later he added that he will come for the questioning to the Investigation of High Priority Cases in Economy Sphere Department of Prosecutor General’s Office at 10:00 am on April 3.